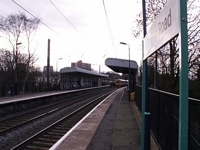 Opened by the LNWR in 1863, Chester Road station stood on the line that at that time ran as far Sutton Coldfield before its extension, in 1884, to Lichfield and beyond. 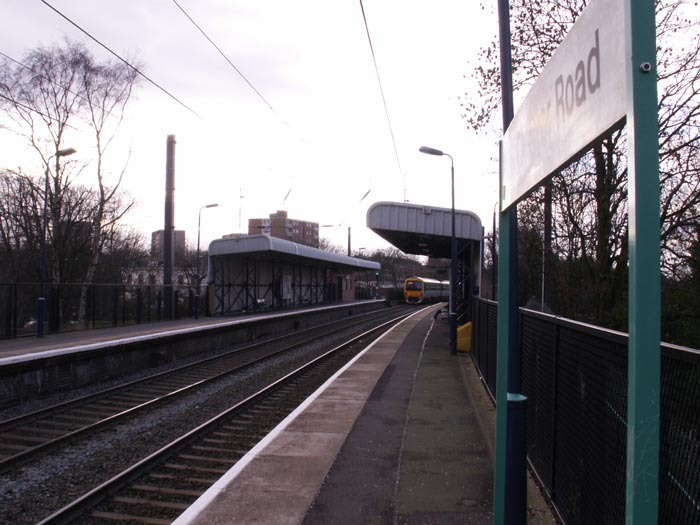 As with the rest of the stations on what is now the Cross City Line, it has been stripped of all character and homogenised to be in-keeping with the rest of the stations from here heading South to Longbridge: the route North from here largely escaping such a fate! 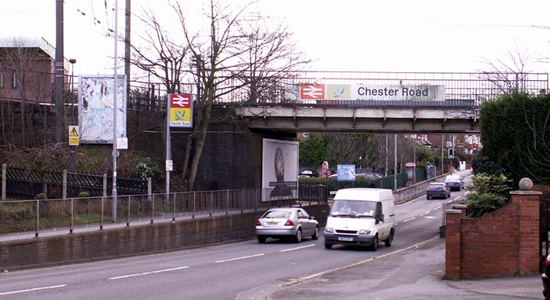 Above we see the bridge over Chester Road marking the site of the station, entered to the left of the shot. 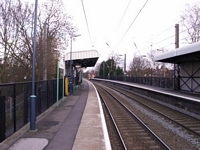 Above-left we are on the Lichfield platform looking towards Wylde Green with a footbridge ahead which does not form part of the station proper - to pass from one platform to another, a short walk down the entrance ramp and under Chester Road bridge is required. 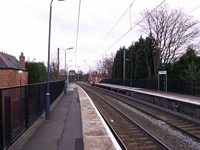 Above-right we are in the same spot but looking South as a class 321 EMU departs for New Street. Above-left we are on the Lichfield platform looking across the line to the booking office situated on the Birmingham platform. 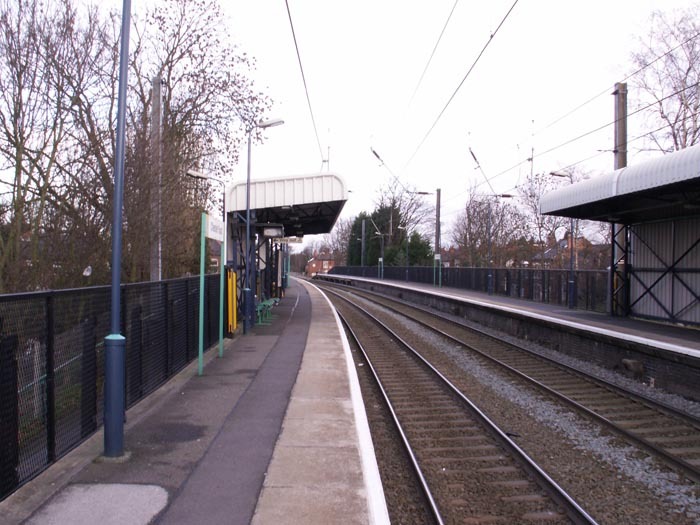 Above-right we are in the same position but have turned to look North to see the meagre facilities on the Lichfield platform that do nothing but create a 'wind-tunnel' effect along the station due to its exposed position at the top of an embankment. 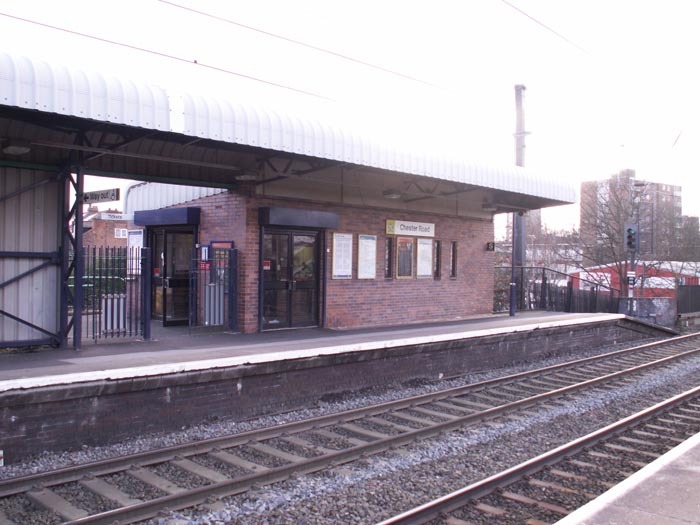 Not a station I'd recommend for anyone interested in the history of the region's railways.